I'm a avid water drinker, I mean I only drink water, except the occasional NEEDED energy drink, and coffee, So My Main drink is water (no sodas fruity juice junk just water). So when I discover a product that add a little "zing" to water I was super curious and luckily got to try out the Citrus Zinger by ZingAnything! You are probably wondering what a Citrus Zinger is?! 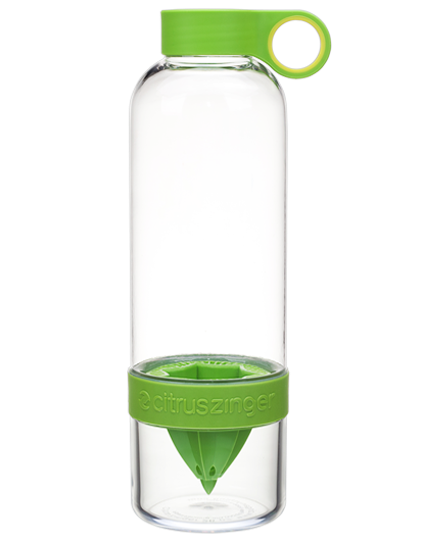 The Citrus Zinger offers an easy way to extract juice and flavor from citrus fruits and infuse them directly into your water bottle. 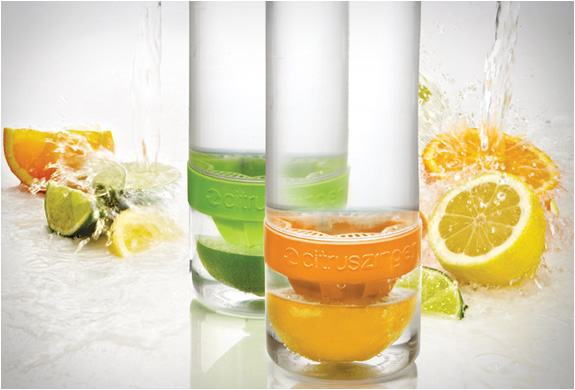 Citrus Zinging is great for the active, on-the-go water drinker. Take it to yoga, the office, and around town. Enrich your water with vitamin C and flavonoids, and let the Citrus Zinger take you to that sunny, perfect day you long for, every day. My experiences with the Citrus Zing are great! It is so easy to operate and is simple to clean and allows you to enjoy creating tasty new infusions instead of just plain water! How easy is the Citrus Zinger to use? 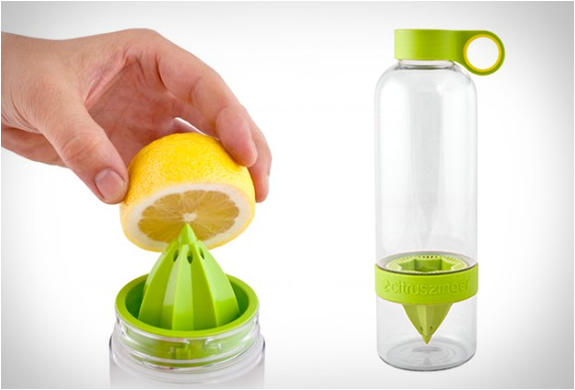 Simply unscrew the bottom cup of the Zinger, flip the vessel on the top cap, and press a citrus half into the reamer. Screw back on the bottom lid, add water through the cap opening, shake and enjoy. It took me about 3 mins to add my fruit (a small grapefruit) and assemble and fill the water bottle, so very very simple and no more buying expensive Plastic throw away bottles of flavor water, with the citrus zing you can have great tasting water without hurting your bank account or the environment! 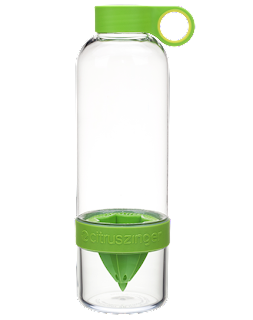 Overall The Citrus Zinger is a great product to add a little Zing to your normal water, and it's reusable and super easy to use/clean!